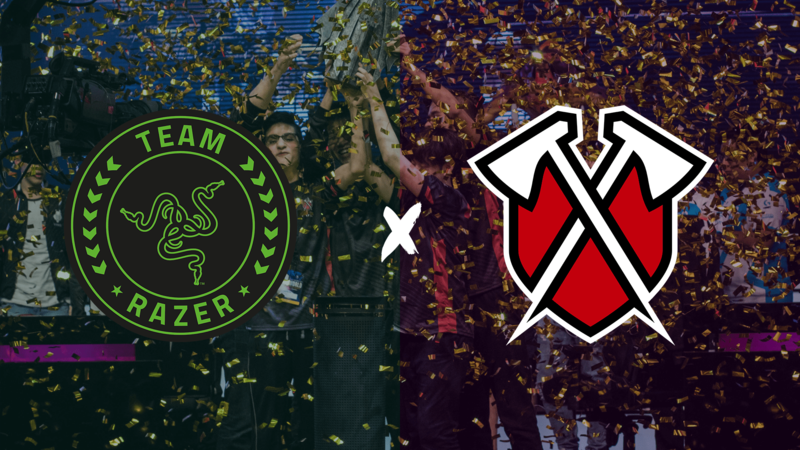 We're excited to announce that @Razer is joining the Tribe as our official phone and headset sponsor! Razer™, the world’s leading lifestyle brand for gamers, and Tribe Gaming are elated to announce that Tribe is entering into a partnership with one of the most recognized and respected brands in the international gaming and esports communities. As a competitive mobile-focused esports organization, all of Tribe Gaming’s teams will be using Razer headphones, as well as the Razer Phone, the world’s first smartphone designed for gaming—with the world’s first 120Hz screen on a mobile phone, the Razer Phone lends gamers the smoothest experience possible, essential for peak performance in competitive mobile esports. “The addition of Tribe Gaming to Team Razer further underscores our commitment to mobile esports. I’m a fan of Chief Pat and OJ, and I look forward to watching them dominate this year with the added performance of Razer Phones in-hand,” said Min-Liang Tan, Razer co-founder and CEO. In addition, we’re thrilled to announce that Tribe Gaming will be producing a docu-series following our Vainglory team in collaboration with Razer! The series will document the ins and outs of being a professional mobile gamer, and feature our World Championship-winning Vainglory team. Hi, my name is Alex, I play on Fortnite mobile, I’m at 90+ wins, I’m wondering if I could join tribe for Fortnite mobile.